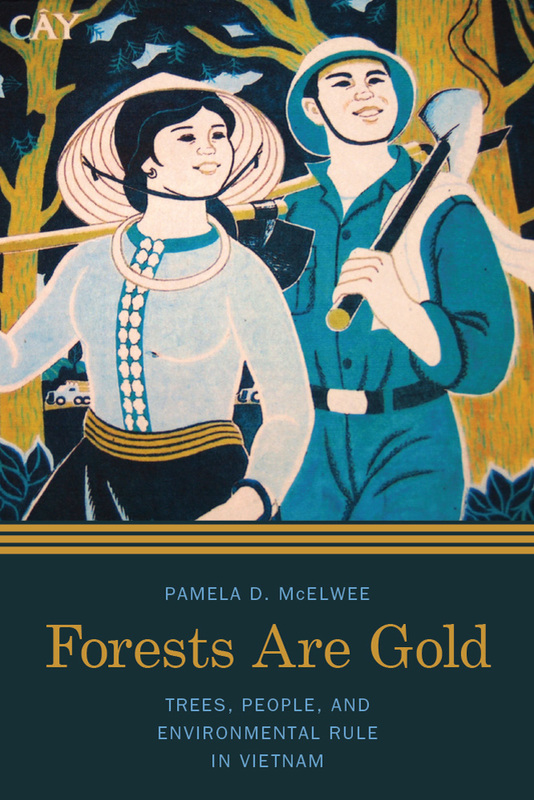 Forests Are Gold examines the management of Vietnam’s forests in the tumultuous twentieth century — from French colonialism to the recent transition to market-oriented economics — as the country united, prospered, and transformed people and landscapes. Forest policy has rarely been about ecology or conservation for nature’s sake, but about managing citizens and society, a process I term “environmental rule.” Untangling and understanding these practices and networks of rule illuminates not just thorny issues of environmental change, but also the birth of Vietnam itself. The book is available through the University of Washington Press, and through Amazon, in paperback, hardcover and electronic versions. For more about the cover art, and more examples of Vietnamese propaganda posters about the environment, please see here. For full-color reproductions of the maps that were in black and white in the printed copy of the book, please see here.